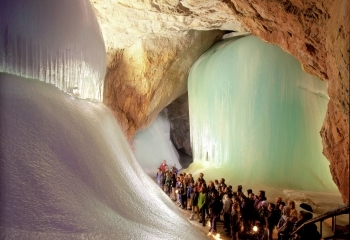 A drive of barely 10 minutes will bring you to Werfen, a small town that boasts two top excursion destinations: the giant ice caves as well as Hohenwerfen Castle. 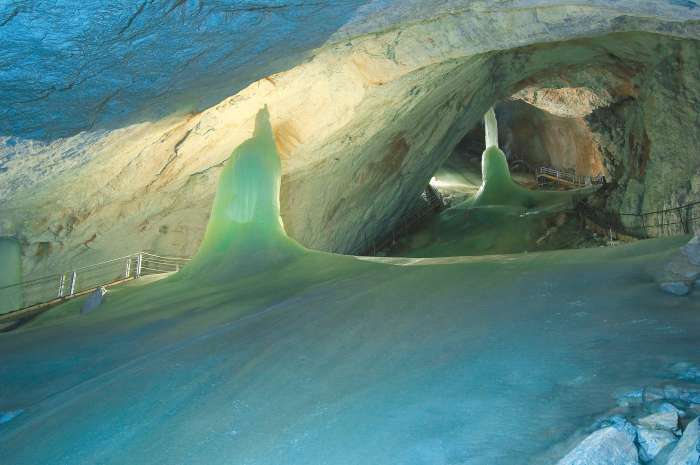 The world’s biggest ice cave is only a few kilometers from our hotel. 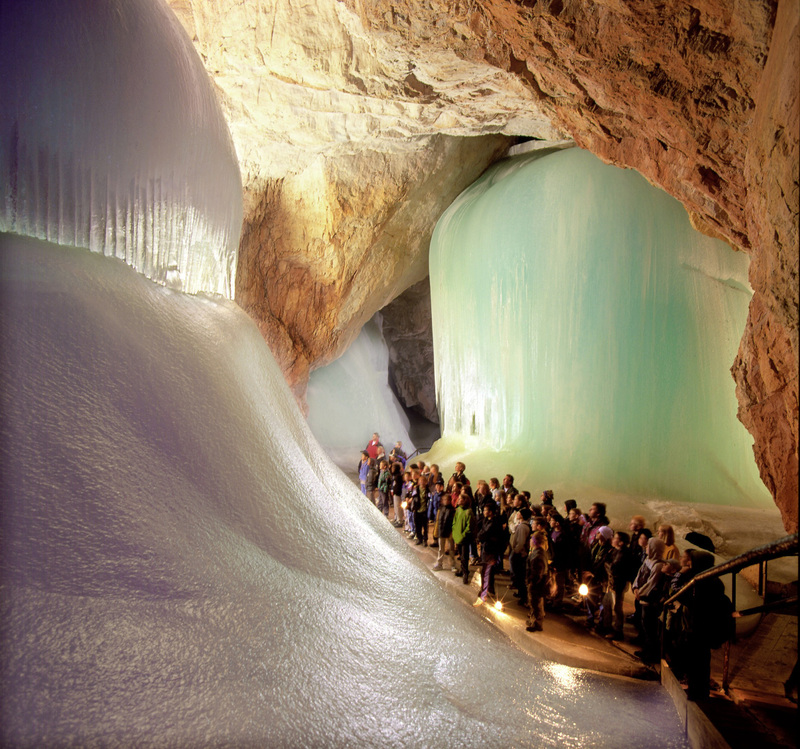 An over 40 km-long cave system stretches out deep within the craggy limestone Tennengebirge massif and is home to some truly special natural phenomena. 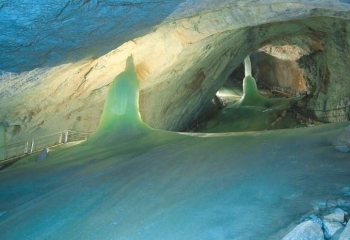 A guided tour through this ice cave covers around 1 km and approximately 140 vertical meters. Even in the summer months, the temperatures never rise above 0° Celsius, which is why warm clothing and sturdy shoes are always required. 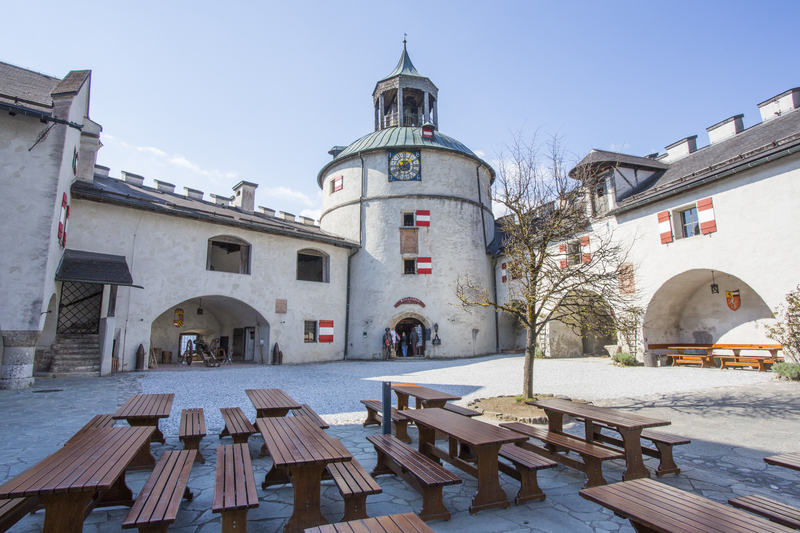 Experience the Middle Ages up close and personal! 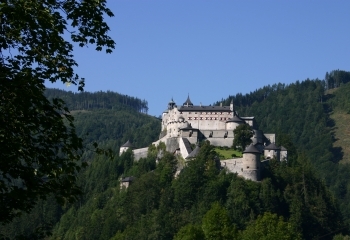 This imposing fortified castle from the 11th century invites you to embark on a journey back in time. You will be able to take a look inside the princes’ chambers, the bell tower, the dungeons and a torture chamber. 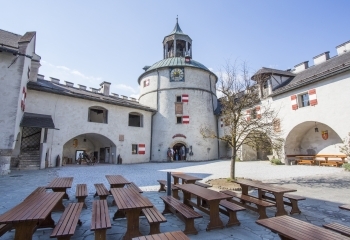 Other highlights include bird-of-prey shows with the historic State Falconer as well as an exhibition that documents the building of this castle.